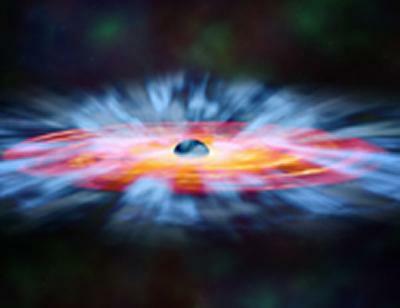 The University of Southampton has joined an exclusive EU-wide research network to study black holes and train the next generation of space scientists. The ‘Black Hole Universe’ network will study black holes and their role in the universe, from the collapsed remnants of stars to their giant cousins (up to billions of times heavier than our sun) that lurk in the centres of galaxies. Although most people think of black holes as very exotic objects, their activity can significantly influence their non-immediate environments, such as preventing the formation of stars and solar systems in their surrounding galaxies. By using observatories all over the world as well as satellites orbiting the Earth, the astronomers of the network will study these effects, and the many faces of black holes as they evolve in time. ‘Black Hole Universe’ will link the University of Southampton with the University of Erlangen-Nurnberg in Germany, the University of Amsterdam in the Netherlands, INAF/Brera Observatory and the University of Cagliari in Italy, Sabanci University in Turkey, CEA Saclay in France, and several other associated institutes via the cooperative training of a new generation of PhD students and postdoctoral researchers in astrophysics and space industry science.